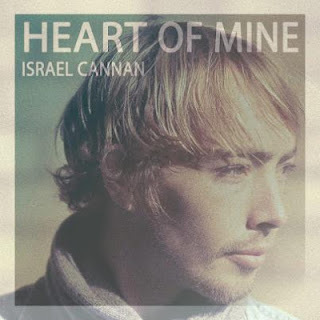 We caught Aussie solo artist Israel Cannan live in London recently, in tandem with fellow Australian Matt Corby. Unfortunately for Israel, the room rather emptied following Matt's set. It was unfortunate for the absent audience too, as Israel impressed with his heartfelt folk-inspired acoustica. His new single 'Heart Of Mine' came out this week, listen below. Israel's been around for a little while, releasing his debut album 'Walk' in 2010, causing a minor splash in his native land. Before that, he'd done a stint on 'Home & Away' but even then, he'd harboured ambitions as a musician - having recorded a theme tune for the show. He's now moved to London, and made enough of an impression on Jeremy from Laissez Faire Club to persuade him to put out Israel's newest single. A-side 'Heart Of Mine' is a lively slice of romantic folk-pop, while B-side 'From The Start' opts for a more understated approach - with its terrifically melodic "I'll be back again" refrain. We suspect some of those Matt Corby fans will be kicking themselves for missing out on Israel. Don't make the same mistake. Purchase the single at iTunes, Amazon etc. Find more info at facebook.com/israelcannan.